Oil Spill Response Plan for Wildlife in Oaxaca. The coast of Oaxaca in southern Mexico is incredibly unique with a diversity of wildlife including four of world’s seven sea turtle species which nest on its shores (green, hawksbill, leatherback and olive ridley sea turtles). Although the coastal ecosystems and habitats of Oaxaca are relatively intact, they face a number of threats. One of which comes from a major oil refinery in the port of Salina Cruz, where large volumes of petroleum are processed and shipped daily. In 2012, the refinery spilled hundreds of gallons of crude oil on neighboring sea turtle nesting beaches. The refinery processes 330,000 barrels per day and continues to be a latent risk to the flora and fauna of the region. In 2017, WILDCOAST, in coordination with the Mexican Turtle Center, organized our third “Immediate Response Plan for Oil Spills and Management of Affected Wildlife” workshop in Huatulco, in order to properly train sea turtle camp staff and groups dedicated to the conservation of sea turtles, on how to handle wildlife in case of an oil spill accident. In 2015, WILDCOAST in association with Music For Relief, launched the #mangleESvida campaign which aims to promote the important environmental benefits that mangroves provide. It was through this campaign that William Moisés Figueroa Álvarez won an autographed guitar signed by the rock band Linkin Park, who donated the guitar for our campaign. William worked as a technician at a sea turtle camp in Morro Ayuta, located in the Oaxacan coast. He supported various conservation activities that include monitoring and surveillance during sea turtle nesting season. As part of the #mangleESvida campaing, WILDCOAST was raffling off the signed guitar with a simple donation to the campaign. “I never imagined all the good luck that the sea turtles have brought me” William said with a smile on his face as he walks along the beach with his new guitar. Last week, WILDCOAST staff and San Diego’s Uptown Rotary Club took a trip to Mexico’s beautiful coast of Oaxaca. 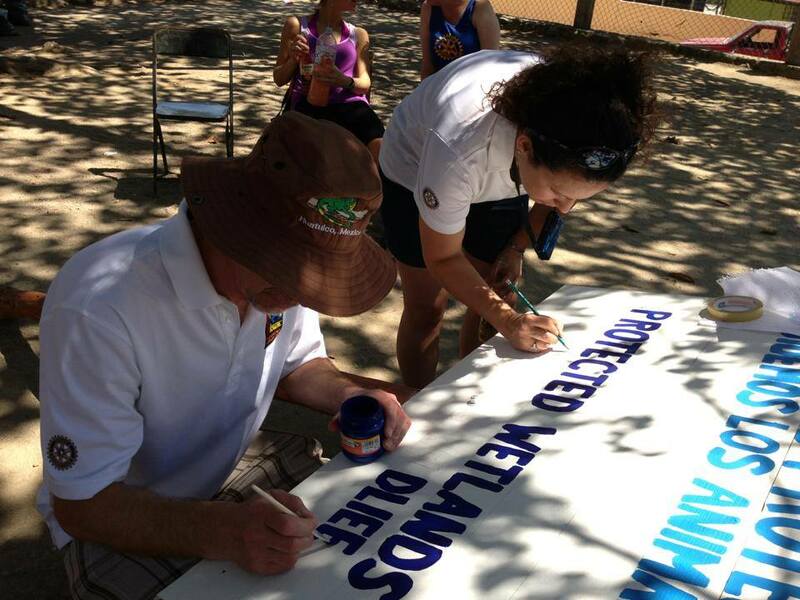 Rotary members volunteered in activities to help conserve some of the world’s most important sea turtle nesting beaches. 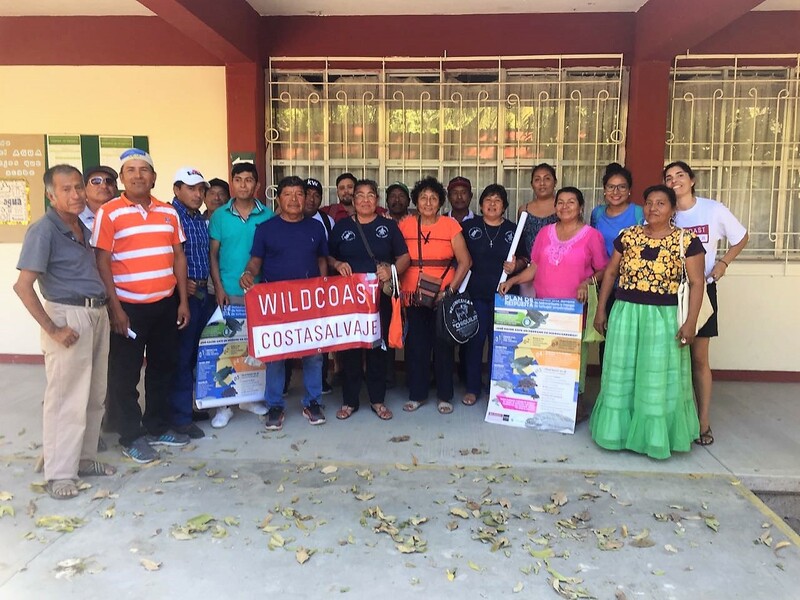 The first day, volunteers and WILDCOAST staff members, Stephanie Batt, Tannia Frausto and Diane Castaneda traveled to the small village of Barra de la Cruz, 63 miles south of Huatulco. Volunteers were introduced to the local communities that are part of the Chontal tribe that has inhabited the area for many generations. The Chontal community takes great pride in their land and works with WILDCOAST to conserve their important beaches and wetlands. Barra de la Cruz is know for being home one of the most important sea turtle nesting beaches in the world. 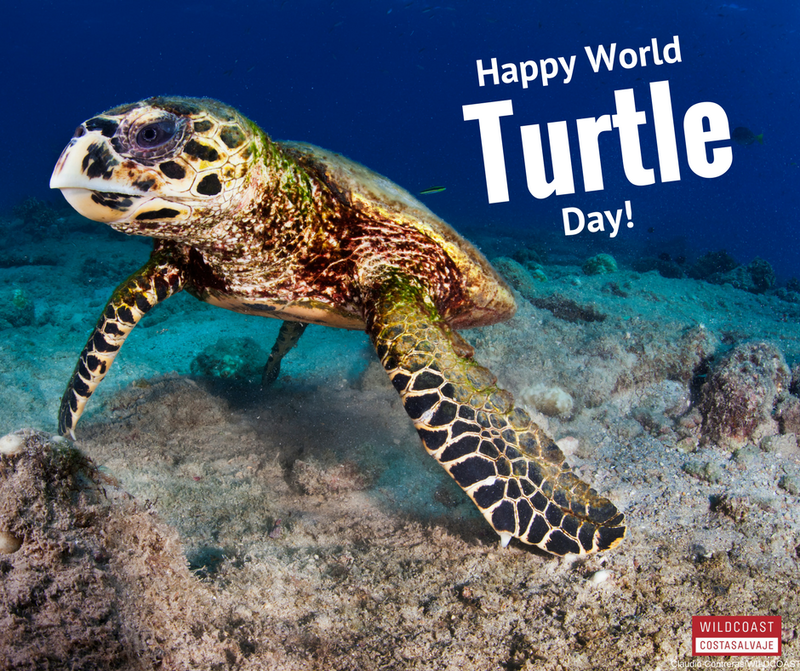 The Leatherback, Olive ridley and Green sea turtles go there every year to lay their eggs. Volunteers helped create three bilingual (Spanish/English) signs that will help educate visitors and residents on how they can keep the area clean. Signs also educated people on the ecological importance of the area.